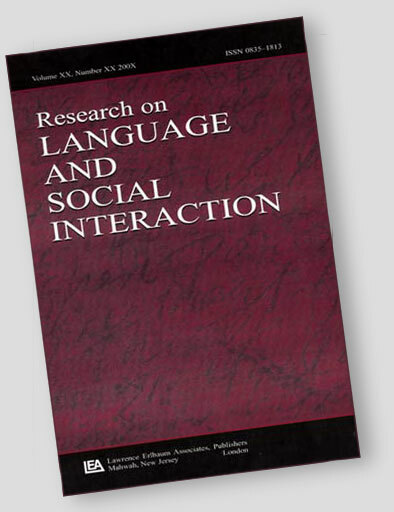 Charles and Marjorie Harness Goodwin (affectionately knows as Chuck and Candy respectively) have a special place in the top rank of pioneers of interaction studies. Their scholarship, enterprise and enthusiasm has inspired many generations of young researchers. I’m delighted that Elliott Hoey and Don Everhart agreed to report on an event held to commemorate the Goodwins’ achievements. 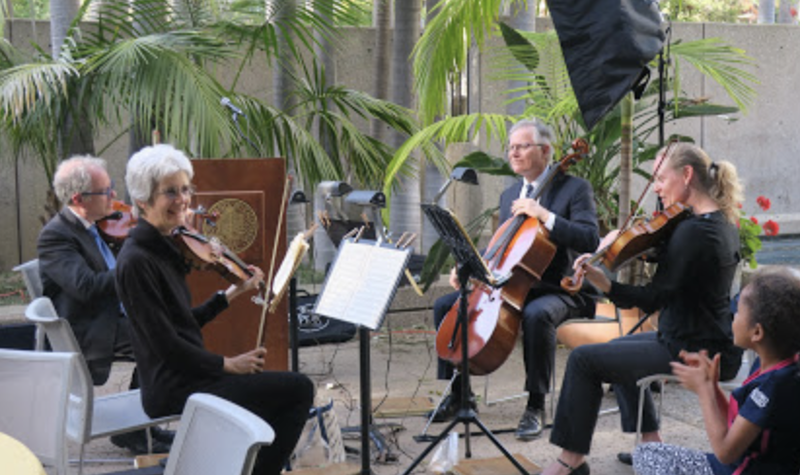 As UCLA would formally have it, “Charles and Marjorie Goodwin: A Career Retrospective” was a delightful event. 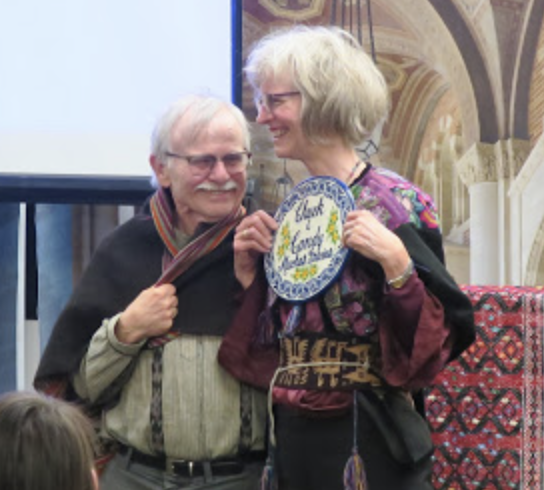 In practice, in the spirit of Chuck and Candy, the event was immediately more than collegial – rather, it was full of friendly, enthusiastic inhabitants of the scholarly universe that the Goodwins continue to create together. Chuck and Candy began the day with opening remarks on their history of encounters, or, as Candy said, “a tapestry of encounters.” Most significant early on in her scholarly work, according to Candy, were encounters with ecological perspectives, children in Philadelphia schools, and the way that those children would build phenomenal worlds together. Arnulf Depperman presented after lunch, with examples drawn from German youths speaking casually in Frankfurt, medical teams, and driving instruction. In the first case, Arnulf emphasized the poetic character of competition between young speakers as they moved from standard German to conventional youth slang, to innovative, stylize Turkish German, and then stylized Turkish. In the case of action amongst medical teams, Arnulf drew on Candy’s work on sequential trajectories and directive sequences, as well as the flexible capacity of gestures to work within multiple projects at once. In situations of driving instruction, Arnulf explored how a student and instructor work to unpack a complex first directive as the recipient themselves must decide on timing and order depending on local contingencies. With all three examples, Arnulf explained, inspired by the Goodwins, that Chuck was not anti-cognitivist or anti-linguistic, but rather focused on how both (that is, cognition and language) emerge in and as practice. As the last speaker of the day, prior to the reception, Lorenza Mondada discussed her work in light of several major themes from Chuck and Candy – namely, participation, gaze, bodies and artifacts, haptic sociability, and publicly visible forms of activity. Lorenza illustrated gaze, as she described it, being an important feature in so many activities – arguing, disputing, addressing recipients, selecting participants, byplay/sideplay/crossplay – in a video of 2 passerby being approached by 2 other people. The artful movements of each participant beginning with gaze and bodily re-orientation and then transforming through the conversation was resonant with the overall theme of “order at all points”, in language, embodiment, and situated action, throughout. The next day was the “Simultaneity in Action” symposium. As compared to the career retrospective of the previous day, the talks at the symposium focused more on the ways that the Goodwins’ influence continues to resonate in many corners of interaction research. Chuck and Candy opened the event with remarks on the theme of simultaneity, stressing in particular the centrality of mutual monitoring for social interaction. 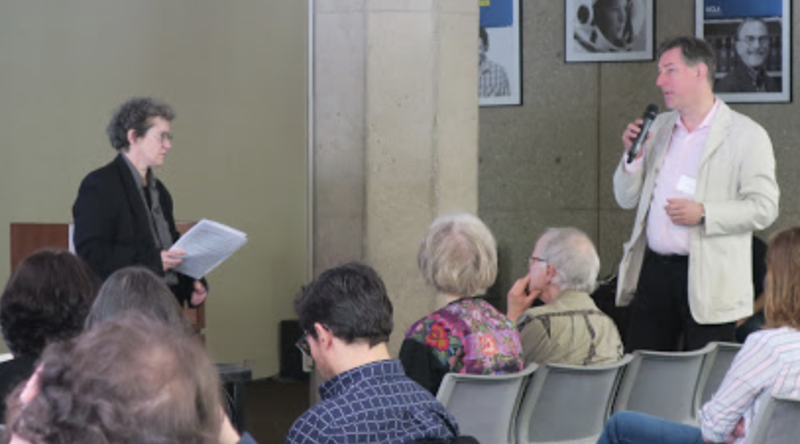 All of the talks were given by scholars who have worked with the Goodwins over the years, and each paid tribute to the wealth of contributions Chuck and Candy have made to the study of human interaction. The speakers represented the extensive range of the Goodwins’ careers—from Christian Heath and Jürgen Streeck, who along with Chuck and Candy have done much to bring video analysis to the core of CA, to Asta Cekaite, whose recent work on ‘haptic sociality’ will be seen in a forthcoming book co-authored with Candy. The reach of the Goodwins’ work was especially prominent in Donald Favareau’s talk, in which he presented an interesting synthesis of Chuck’s research on co-operative action and semiotic processes across the natural world. It was fascinating to see how each speaker expanded upon the Goodwins’ research in distinctive ways. In the same way that Chuck showed his aphasic father to be a fully competent interactional participant, Lourdes de Leon’s presentation focused on how Tzotzil Mayan children participate in the ‘observational’ mode. Though adults in such communities don’t routinely engage young children as full interactants, the children nevertheless come to be socialized via this observational mode of participation. Lorenza Mondada’s ongoing work on multiactivity and temporality has built upon the Goodwins’ work on participation in novel and systematic ways. Mondada showed scenes from cheese shop interactions where the seller gives the client some cheese to taste. She argued that such moments were structured according to an understanding of tasting as a ‘private’ experience, which was observable in how participants treated periods of talk and non-talk. The presentations, stimulating as they were, acted as prelude to the best part of the symposium. 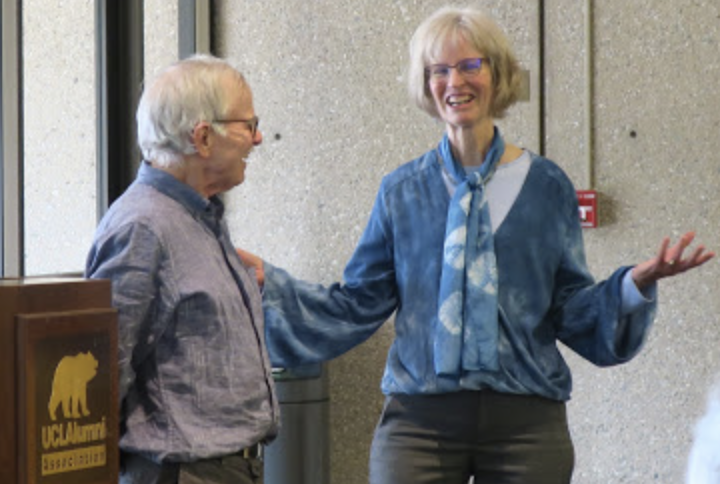 From the late afternoon reception and past the post-dessert sing-a-long (yes), a parade of students and colleagues expressed their highest admiration for the Goodwins. Nearly everyone noted their seemingly endless generosity of spirit, the dignity with which they treat young researchers, and the tremendous example they’ve set for others scholars. The fact that the event was at capacity and that people had flown in from Singapore, Japan, and Europe to be at this celebration was testament to how much the Goodwins are beloved and to their intellectual legacy in studying, as Chuck put it, what it means to be human.